On Oct. 22, hundreds will gather at the Fairmont Chicago Millennium Park for the 9th Annual Inspire Greatness Gala to benefit Special Olympics Illinois. These guests will hear from featured Special Olympics Illinois athlete John Henley. The self-proclaimed “Famous John Henley” is a 29-year-old high school graduate from Marion. John competes with the Lightning Bolts, an agency his parents, Jane and Rich, formed on their own when John graduated from his high school team. They started with 3 athletes in their first year and currently have nearly 40 athletes who compete in a dozen sports. 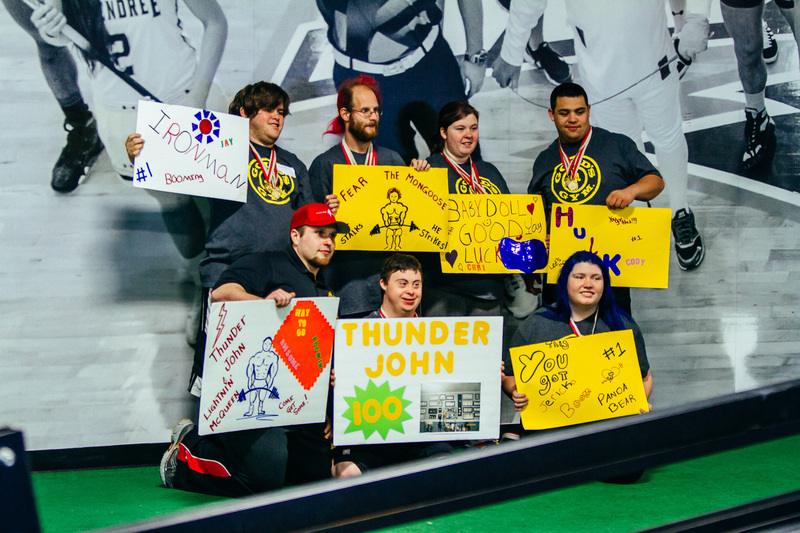 Earlier this year, John won his 100th medal at the Special Olympics Illinois Southwestern/Area 12 Powerlifting Competition at McKendree University. He went on to win several additional medals at the 2016 Special Olympics Illinois State Summer Games in Normal. 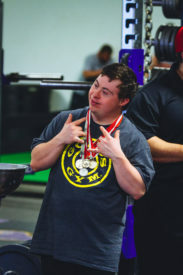 John’s impressive athletic accomplishments do not end with powerlifting. He competes in snowshoeing, basketball, bocce, athletics, softball, golf, and he plays center on his championship-winning flag football team. He also competed in powerlifting at the 2014 Special Olympics USA Games in New Jersey and brought home 4 medals – 3 silver and 1 bronze. John takes pride in his job working at Progress Port Recycling Center, where he sorts through recyclables. He even trains with his local chapter of the National Guard. Jane and Rich Henley have worked hard to build their team. They serve as program directors, fundraisers, bus drivers and more – all for the benefit of their athletes. The Henleys have become the surrogate parents to many athletes on their team, as they go above and beyond the duty of coaches. They have been known to replace shoes and clothing, provide meals and offer a safe place for anyone who needs it. Families like these are the heart and soul of Special Olympics Illinois. A short documentary about John will debut prior to his speech. Cocktails will be served at 6 p.m., dinner to follow at 7 p.m. The evening is emceed by Rob Johnson of CBS2 Chicago and music will be provided by the City Lights Orchestra. Tickets and sponsorship opportunities are still available. Register online at www.inspiregreatnessgala.org. For additional information, contact Shelley Chenoweth at 630-942-5619.